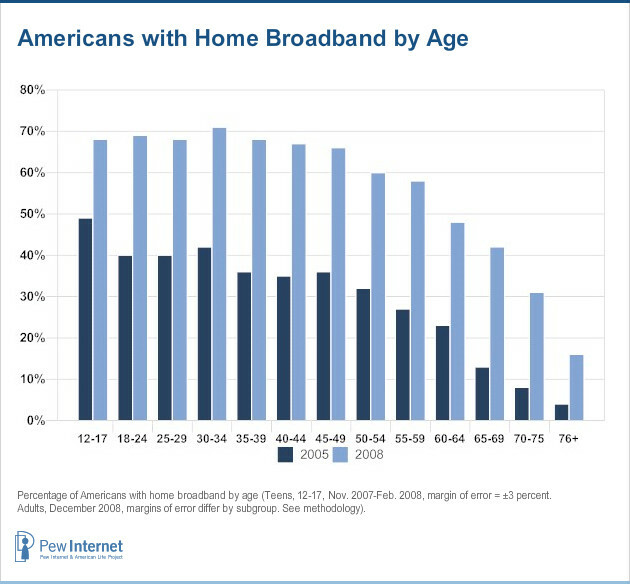 Since 2005, broadband access has increased dramatically in the United States across all age groups, but older groups are still largely unconnected to high-speed internet. For Americans ages 12-24, broadband access has increased by about half; for 25-64 year olds, it has about doubled; and for seniors 65 and older, broadband access has more than tripled. The percentage of the oldest age group to have broadband at home is still very low, however, at just 16%. Always-on, high-speed connections make it more convenient for internet users to participate in online activities, and broadband users are significantly more likely than dial-up users to do almost all major online activities.6 When looking at internet users who go online from home in 2008, broadband is more equally accessed by all age groups; 70% of home internet users older than 75 years old have high-speed access. 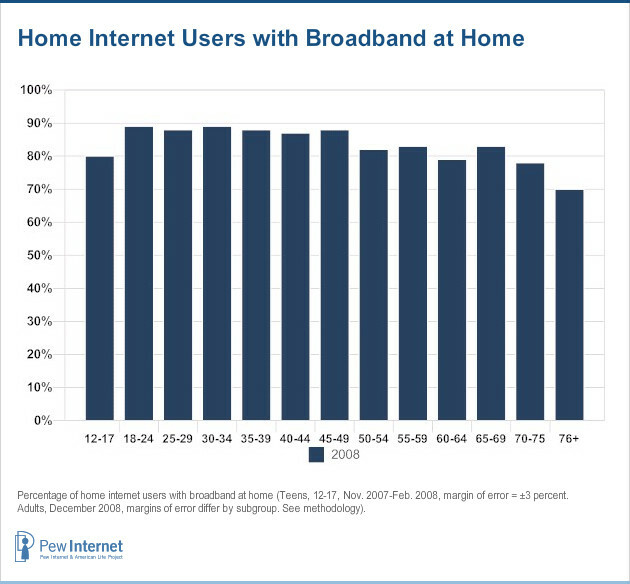 As broadband access continues to increase for all age groups, perhaps we will see increased internet activity, particularly among the trailing older generations.